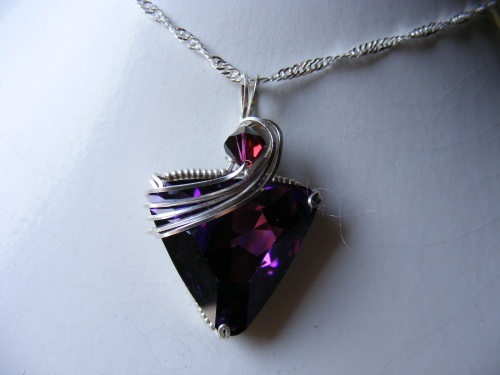 This unique swarovski crystal is enhanced with argentium silver swoops and embellished with a matching crystal in the curvature of the swoop. Vintage circa 1950. Color is very dramatic and makes this very eye catching.